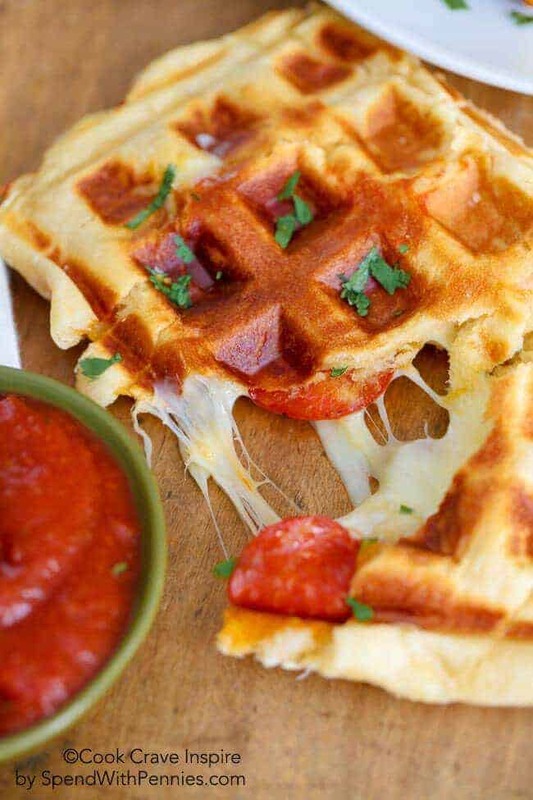 Pizza Waffles! 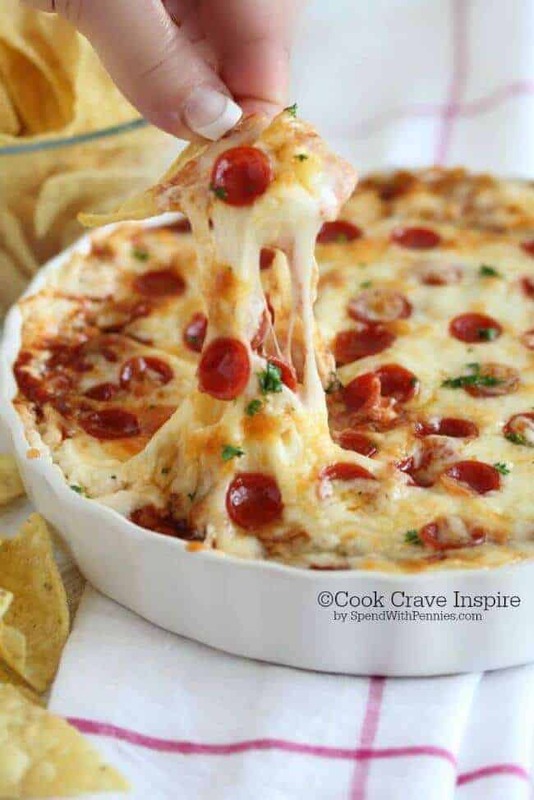 Easy, cheesy and crazy good! Just 3 ingredients and a few minutes to make these yummy waffles! 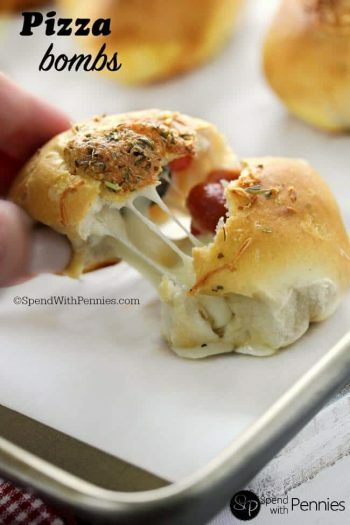 If you’re looking for something ridiculously easy and super delicious you’re going to love these!! 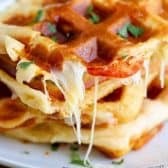 You’ll need just 3 ingredients for these awesome Pizza Waffles! 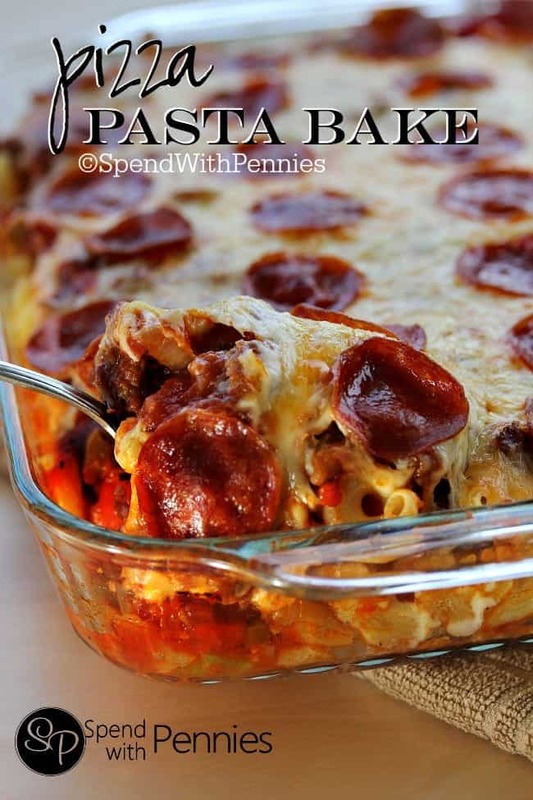 I used pepperoni but you can add sausage, mushrooms, peppers or whatever your favorite toppings are. If the toppings you choose have a lot of water (like mushrooms) you’ll want to cook them first to get rid of most of the water. 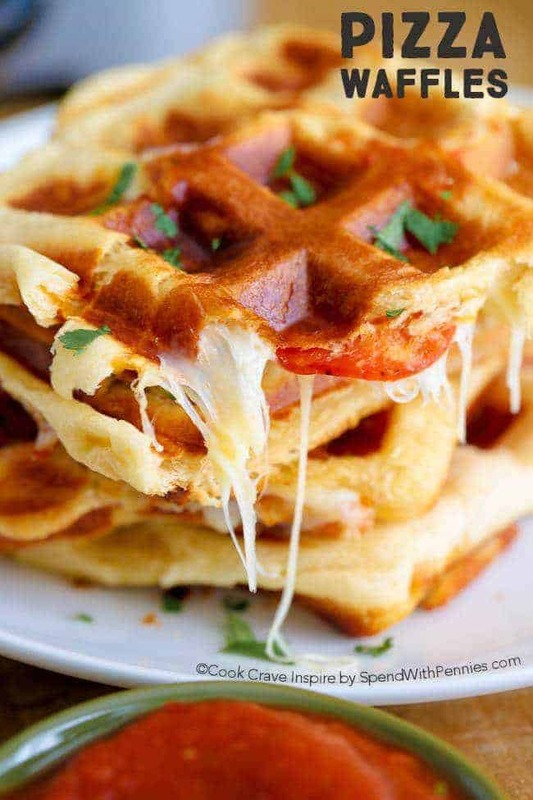 Here’s the thing… they’re waffles so I think you could eat them for breakfast and they’re pizza… so evening snack? Dinner? Lunch? Yes, yes and YES!! Place 1/3 cup mozzarella cheese and pepperoni in each rectangle. Fold over and pinch to seal all sides. Repeat with remaining sections. Thank you for sharing Marissa! 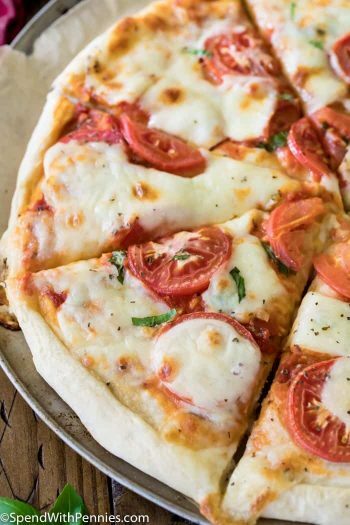 It’s so easy and tasty! What a fun recipe! We enjoy a “Friday Night Pizza” tradition in our house, and I think there will be no complaints about this twist. The crescent sheets might work well, too, with fewer seams to leak. Looking forward to trying this tasty treat!! Enjoy Rebecca, we do pizza Fridays too! :) The crescent sheets are a great idea! So fast, easy, and yummy. Thanks much for this recipe! I made a huge batch tonight and they were perfect, first time, no problem. So glad you loved them… LOL! I love the name Pizzafles! I so what to try this, looks so good. These waffles look downright craveable!!! Love the golden exterior and gooey insides. Anyway, will grab it soon n try for my lunch… Thank you Holly! Have you ever froze them and reheated them? 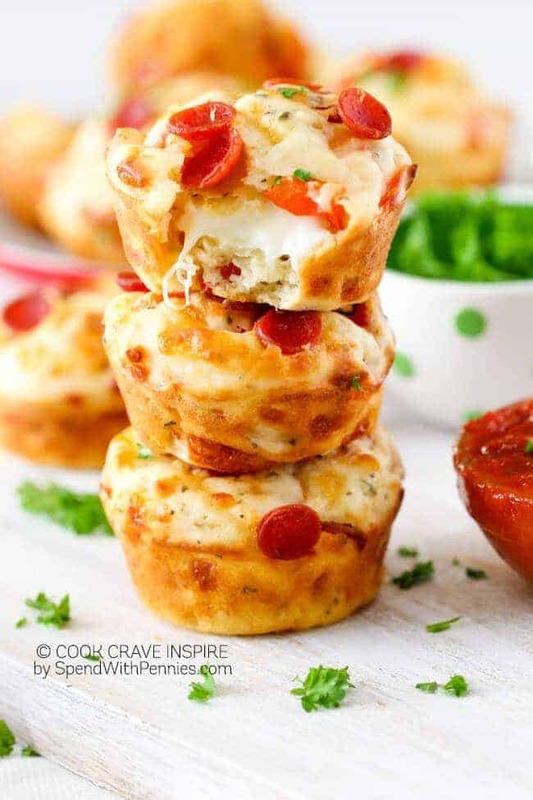 I haven’t but I love that idea for a quick breakfast or lunch!! Just to stock them, whenever you need 1 or many you don’t meshed every time, just grab put 10 second in the Microwave then oven it just 2 minutes or more if you need crunchy maybe 3-5 mints with 200 heat … I deed the same way..
Yummy idea! A quick breakfast or lunch on the go! Has anyone tried ham and pineapple? It turned out good and my son and I loved them. So fast easy and delicious. I really pinched the seams to make sure it was sealed. This is seriously genius! Love it! I love using my waffle iron for things other than waffles. These look super tasty. Have you made brownies in yours yet? WHAT?!? Brownies? Guess what I’m doing tonight! Thank you Brandon… just something about gooey cheese I can’t resist!